Celebrating New Year’s Eve by entertaining at home is smart. You will not only avoid the crowds, but you can include everyone (even the kids!) in the merriment. Once you have had your home cleaned by an expert Atlanta maid service to prepare for your guests, the last thing you want to do is spend all of your time maintaining the sparkle. One of the most troublesome areas is the kitchen. You need to use the kitchen to prepare the food, but you want it to be clean and orderly when your guests arrive. Here are 7 quick kitchen cleaning tips to help you quickly clean up so that you can spend more time with your guests. Have you thought of having your favorite restaurant prepare most of the food? Not only is it less work and stress, but your kitchen stays clean. If you are going to cook, the next 6 tips will help. 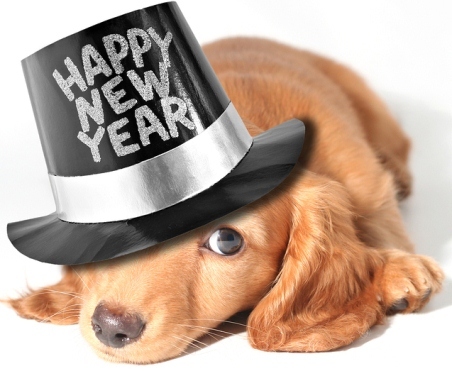 Remember, as host or hostess of the New Year’s Eve party, you don’t want to be locked in the kitchen. Use these tips to get your kitchen clean quickly so that you can socialize. Would you like a quote on general or detail cleaning services before your party? Contact Raina Raflo at http://www.spongeandsparkle.com or call (404) 633-9652. 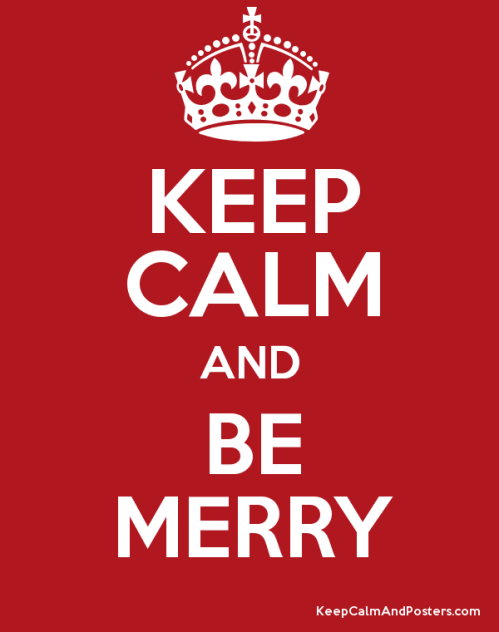 The holidays can be a very busy time, which can result in a great deal of stress. You can just plow through it all, fainting in a heap on January 2nd, or you can take the proactive approach of simplifying the holidays. 1. Be careful of back-to-back events. Don’t host your holiday party on the same day as your child’s school chorus event. You will be rushed, your kids will be tired, and you won’t enjoy the party. You should also avoid having events two days in a row. Being festive and cheerful is hard work. Give yourself at least a day’s rest in between each event. Be careful of giving things like figurines or other such things that will sit on a shelf collecting dust. The best gifts are things that will actually be used like piano lessons, wine, or even cookies. 3. Create a list of every single thing you have to do. The best way to relax is to stop obsessing over everything you have to do. Once you get it written down on paper, and begin crossing off tasks, you will see your progress and be able to relax and enjoy the process. While crossing off your holiday tasks are important, it is also important to do them well. If you are tired, you will surely get sloppy and careless. Make sure you plan for a full night sleep every day, and a break after every 2 hours of work. 5. Get help. Don’t try to do it all yourself. a. Recruit family members to help you decorate, prepare for festivities, and make gifts. Not only will the work go faster, but also you will have great bonding experiences. b. Get your friends to shop with you. Remember, there is safety in numbers, and if you pick someone who is task oriented, having company will make the time fly. c. Outsourcing is a smart way to get help. Hire a cleaning service, have someone string and/or remove your outdoor lights. If you are short on time and creativity, there are services that will completely decorate your house for you for the holiday season. You don’t want to suffer for the next three months because you over-did it in December. If you like to splurge during the holidays, next year, you may want to consider joining a “Christmas Club” type account at your bank to set aside funds for this time of year. If you put away just $100 a month, you will have plenty of extra money to spend on the holiday festivities. Shopping for gift certificates is easy on the back, and is actually appreciated more and more, especially for the person that has everything. Be sure to get something that is thoughtful, and unconventional, such as pre-paying for their next mani-pedi, or hiring a house cleaning service. We have added a very special touch of lovingly packaging our gift certificates in an attractive teacup set. 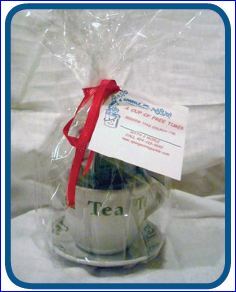 This will provide the hint that so your special gift recipient should relax and enjoy a sip tea while we clean for them. We also provide free local delivery, or you can pick up the gift certificates from us. Call us at (404) 633-9652 to find our about our holiday gift packages. With the holiday edition, our print newsletter has a new look. For all of this and more, click here to download the newsletter. We are so grateful to have you as part of the Sponge & Sparkle family, and strive to live up to the trust that you have placed in us. Thank you!